Mariano (BNS) is a Buenos Aires-born and Brooklyn-based mixed media artist. Inspired by the energy of the urban environment that has always surrounded him, he is continuously leaving imprint by letting his workflow both on and off the streets. 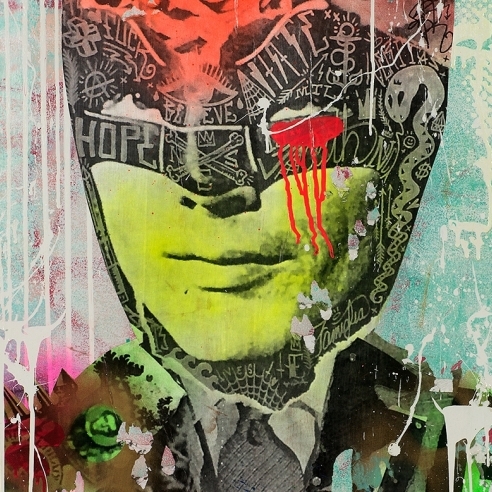 BNS’s passionate, expressive style originates from his study of urban scenes, graffiti and street art culture; characterized by numerous layers his works are usually a mix of media such as spray paint, acrylic, silkscreen, ink, and photography. His work has been featured across the globe, from the multiple cities in the United States to Spain, Australia, Russia and Argentina among others.